On 14 January, the US Congress voted to block a bill criminalising the boycotting of Israel and Israeli settlements in the Occupied Palestinian Territories in the United States. It was the third attempt at passing a bill of this sort since the newly elected Congress convened on 3 January. The “Strengthening America’s Security in the Middle East Act of 2019” was the first piece of legislation introduced by Republican Party Senator Marco Rubio on the 12th day of the partial US government shutdown that began on 22 December and is affecting 800,000 public-sector workers in the US. On 8 January, the bill was blocked by a majority 56-44 vote. It was blocked again on 11 January by 53-43 and for the third time on Monday by a 50-43 vote. A motion to reconsider the vote was entered before the Senate proceeded with its session, which means a fourth vote is forthcoming. 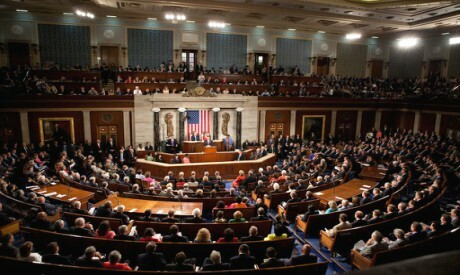 The bill authorises assistance and weapons transfers to Israel, extends US defence cooperation with Jordan and establishes additional sanctions related to the conflict in Syria. It allows US states to divest from “entities using boycott, divestments or sanctions [BDS] to influence Israel’s policies,” adding to its controversial nature since US federal courts have ruled against penalising boycott movements and free speech on the grounds that they would violate the US Constitution. The immediate reason the bill has been blocked is because senators have refused to pass any legislation before an end to the longest US government shutdown in history, in its 25th day as Al-Ahram Weekly went to press. Critics of the bill say its timing sends an important message about the legislative priorities of Senate Republicans and violates the US Constitution. There are already 26 US states that have passed laws criminalising any boycott of Israel. However, two federal courts in Arizona and Kansas blocked the enforcement of state laws in 2018 boycotting Israel by citing First Amendment violations under the US Constitution and free-speech rights. In January 2018, federal judge Daniel Crabtree blocked the Kansas law of July 2017 barring state contractors from participating in boycotts against Israel. The lawsuit was filed by the American Civil Liberties Union (ACLU) on behalf of Esther Koontz, a maths and science curriculum coach at a Wichita public school. The ACLU has been at the forefront of efforts to protect First Amendment rights under threat by the enactment of anti-Israel boycott laws in more than half of US states. Thirteen states are currently considering similar anti-Israel boycott laws, with the trend being indicative of efforts to curtail the impact of BDS in the US which is inspired by and modelled on the anti-apartheid movement against South Africa in the 1970s and 1980s. “The type of collective action targeted by the [law] specifically implicates the rights of assembly and association that Americans and Arizonans use ‘to bring about political, social and economic change,’” he added. In December 2019, the ACLU filed a lawsuit in Texas to challenge a state law that requires government contractors to certify that they are not engaged in boycotts of Israel or territories controlled by Israel. The law, which went into effect in 2017, is being challenged by the ACLU on behalf of four Texans forced under the law to choose between signing the certification or foregoing professional opportunities and losing income, the ACLU said in a statement. “This lawsuit is about fundamental First Amendment rights, which protects us all from having the government use its power to force us to choose one side or another in a public debate,” said Edgar Saldivar, a senior staff attorney for the ACLU in Texas. Another case was filed in Texas around the same time and in Maryland earlier this month. “These laws, which are guaranteed to spark court challenges, waste courts’ time and taxpayers’ money,” wrote Lara Friedman, president of the Foundation for Middle East Peace, on her Twitter account this week. Efforts to pass the current Senate bill are not unlikely once the government shutdown ends, however. The BDS backlash is also resonating in other forums in the US. On 5 January, the Birmingham Civil Rights Institute (BCRI) in Alabama decided to rescind an award it had already announced to prominent civil rights activist Angela Davis without citing a reason. “The rescinding of this invitation was thus not primarily an attack against me, but rather against the spirit of the indivisibility of justice,” she wrote.